Some get tricked by their email client's autofill option, but overall a quarter of all employees have been guilty of breaches. 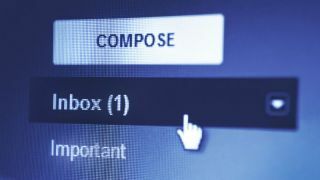 A significant number of UK workers have maliciously mis-used company email accounts to spread and leak confidential information, new research has claimed. A report from Egress Software Technologies claims that a ‘significant number of workers’, 24 per cent to be exact, had shared confidential business information outside their organisation on purpose. Usually, these emails go to competitors, or new and previous employers. Half of respondents said they usually cover their tracks when they mess up, deleting the email from the “Sent” folder. Almost half (46 per cent) said they got at least one panic email recall request. More than a third don’t check their emails before they send them. The biggest factor is rushing, but alcohol has also made it to the list. The dreaded autofill feature is to blame for almost 42 per cent of wrongfully sent emails. When sending email to the wrong person, four in ten have actually insulted the unsuspecting recipient, or included rude jokes. One in ten leaked sensitive data such as bank details. Egress has launched a product to tackle the issue, called Switch Threat Protection, which alerts users and central administrators when they are sending an email to potentially the wrong person. You can check out more details about the program here.